Christmas is a time for giving. Obviously in order to give generously, one must first buy. Lots. Hopefully some time in advance of the 24 th December, and with this in mind, shops and manufacturers have been doing their bit to ensure a destitute January for over 100 years. While nowadays a love or revulsion for the John Lewis advert is for many an integral part of the holiday season, it's widely believed that historically Christmas was a less commercial affair, more focused on the joys of companionship and goodwill than those of spending and the Selfridges window. Not so. No sooner had the first Santa's Grotto been installed in a Stratford store in 1888, than shop owners recognised the value of enticing the children's mothers in with seductive window displays. Before long, advertising was an established ingredient of Christmas, and as such, newspapers were flooded with ads. So what were people selling 100 years ago? 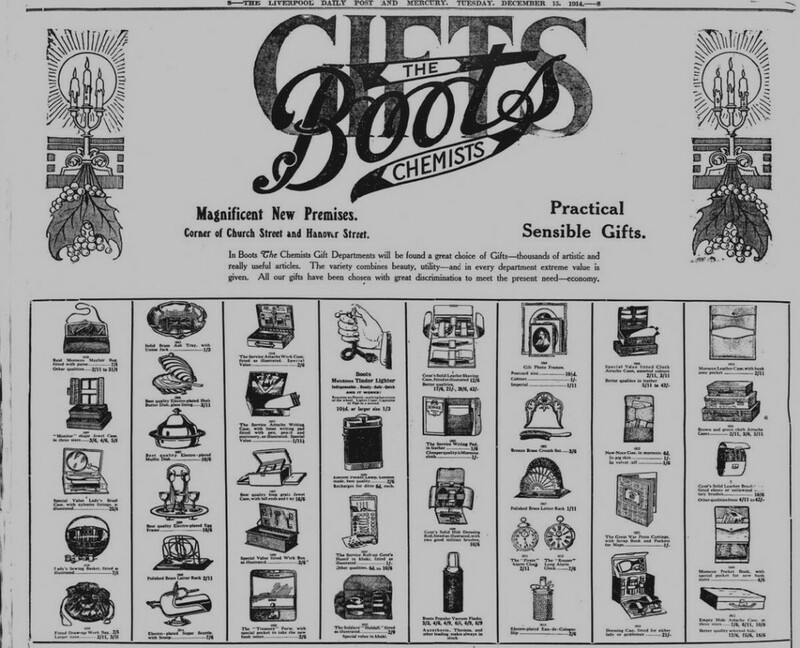 This Boots advert from the Liverpool Daily Post in December 1914 sheds some light on potential yuletide offerings as the country acclimatised itself to a state of war. Forget Playstations, or perfume. What you're really after is the practical, sensible gift of a Matchless Tinder Lighter from Boots. I mean, if we're all being truly honest with ourselves, who isn't?! Mindlessly shovelling chocolates into our mouths by the handful is as much a festive tradition as family arguments and Doctor Who. These days, the Cadbury's Christmas ads are usually big-budget affairs with celebrities, special effects, and a catchy tune to boot. Not so 100 years ago. 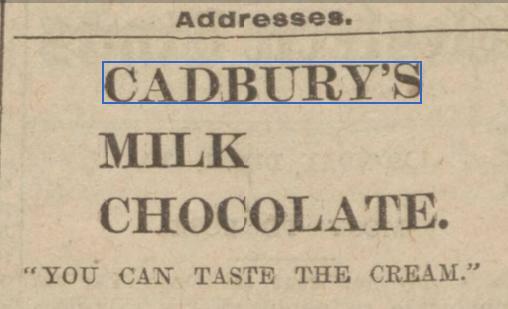 Back then, Cadbury's went for a stripped-back, minimalist approach with their marketing. To be fair, if they were using cream to make their chocolate, rather than whatever artificial abominations have made their way into the modern recipe, then all-star adverts probably wouldn't have been necessary! It's a Christmas cliche that men leave it until the last minute to buy their gifts, jousting down the aisles of the nearest Debenhams for the last lavender soap a few hours before Midnight Mass. During this desperate state, men are highly suggestible and open to any idea that promises to make their lives easier. 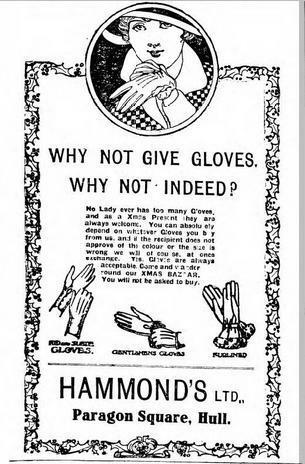 'Why not give gloves? ', this advert asks. 'Why not indeed?' it replies to itself, thus shutting down any semblance of doubt in the mind of the desperate last-minute male shopper. We don't know about you, but 'FANCY GOODS' has been scrawled at the top of our Christmas lists for as long as we can remember. If only we had been sending our letters back in 1911 when W.H. Smith was in its heyday and every British high street was home to a purveyor of fine, fancy goods. 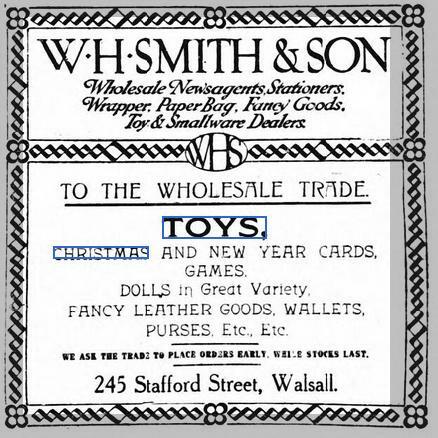 They even stocked fancy leather goods and dolls in 'Great Variety'. What a time to be alive!